It’s too hard to qualify for a home loan. Lenders are reluctant to give conventional mortgages to people without pristine credit. If you’ve applied for a mortgage with a good, but not great, credit score, you might have suffered through this firsthand. You can point your finger at federal regulators who have scared lenders into setting strict mortgage rules on borrowers. The mortgage industry has tinkered with looser lending requirements, but plenty of qualified borrowers have still been denied loans. Here are the details — and how you might still be able to qualify. Overly tight credit standards from 2009 through 2015 prevented at least 6.3 million mortgages, according to the Urban Institute. Goodman argues that lending standards from 2001 to 2003 were reasonable, before lenders popularized risky loan products. Of the mortgages that Freddie Mac guaranteed from 2001 to 2003, the percentage that entered into default ranged from 1.6% to 2.3%. The era of overly permissive lending lasted from around 2004 to 2008, and the default rate on Freddie Mac mortgages reached 8.7% for loans underwritten in 2007. In contrast, the default rate for Freddie Mac mortgages from 2009 through 2012 — after standards tightened in reaction to the financial crisis — varied from 0.6% to 0.1%. Since 2013, the default rate has been less than 0.05% — almost zero. “A near-zero-default environment is clear evidence that we need to open up the credit box and lend to borrowers with less-than-perfect credit,” Goodman wrote in a blog post last year. The Department of Housing and Urban Development made the same point in its spring 2016 policy journal, Evidence Matters: “Because lenders have tightened their credit standards, they are not serving a significant number of low-risk potential borrowers,” it said. The Federal Housing Finance Agency, which oversees Fannie Mae and Freddie Mac, has acknowledged its role in the problem. “We know that access to credit remains tight for many borrowers, and we are also working to address this issue in a responsible and thoughtful manner,” Mel Watt, the director of the FHFA, said in a 2014 speech to the Mortgage Bankers Association. In that speech, Watt had promised to clarify “representation and warranty” rules that made lenders cautious about lending to anyone with less-than-stellar credit. The agency followed through but with little effect. Two years later, Watt spoke again to the mortgage bankers and said the changes had “helped move the needle incrementally.” But in those two years, the average credit score of someone approved for a conventional purchase mortgage fell only from 754 to 753. In the mortgage world, a credit score of 740 or higher is considered excellent, meriting the lowest mortgage rates and fees. 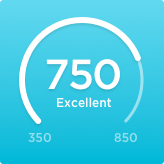 In August 2017, the average credit score was 752, well into the “excellent” range. As average credit scores remain stubbornly high, the mortgage industry has tried other ways to expand lending but it hasn’t had a substantial impact because borrowers need to have excellent credit to qualify. Fannie Mae’s loan software will allow some people to have a 50% debt-to-income ratio. Fannie and Freddie also will allow some home buyers to qualify for mortgages without getting appraisals. However, both programs are designed for borrowers with excellent credit. “What we are seeing really are baby steps trying to come back from that overcorrection” after the housing crash, says Rick Sharga, chief marketing officer of Ten-X, an online real estate platform. If you’re a prospective home buyer with mediocre-to-good credit, your best shot at a mortgage might be one insured by the Federal Housing Administration. In August 2017, the average credit score for someone receiving an FHA-insured purchase loan was 683, much lower than the 752 average for loans guaranteed by Fannie and Freddie. FHA loans have a minimum down payment of 3.5%. VA loans — mortgages guaranteed by the Department of Veterans Affairs — were granted to buyers with an average credit score of 710 in August. Borrowers can qualify for VA loans without down payments if they meet the VA’s eligibility requirements. And Fannie Mae and Freddie Mac have 3% down options geared toward low- to moderate-income borrowers. Fannie’s HomeReady program is for those with credit scores as low as 680. 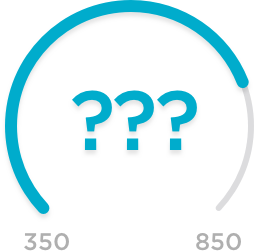 Freddie Mac’s Home Possible qualifies those with scores as low as 660.